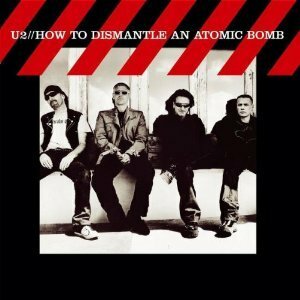 U2 - HOW TO DISMANTLE AN ATOMIC BOMB LTD. EDIT. (CD+DVD IMPORT) | Online Shop | Wizard LTD. Album: "HOW TO DISMANTLE AN ATOMIC BOMB LTD. EDIT. (CD+DVD IMPORT)"
A return to bombast and stadium histrionics, there is little disarming about U2&apos;s eleventh album, How To Dismantle An Atomic Bomb. A rather predictable if undeniably effective guitar-fuelled romp, with long-time collaborator Steve Lillywhite at the production helm, the Irish quartet&apos;s follow up 2000&apos;s 11-million selling All That You Can&apos;t Leave Behind with much of the same, something that will delight fans of Rattle And Hum while frustrating those who preferred the beat-driven experimentalism and eminently more evocative lyricism that made Achtung Baby! grab attention. While there is certainly no "One" here with Bono proving a less politically subtle songwriter than he obviously is a proven negotiator on the likes of "Love And Peace Or Else"; "We need love and peace/Lay down your guns," he chimes simply, he does reach the heartstrings on "Sometimes You Can&apos;t Make It On Your Own", a passionate ode to his dead father, and the equally sharp scribing "No I could never take a chance/Of losing love to find romance" on "A Man And A Woman." As you might expect the production, assisted by the likes of Brian Eno, Daniel Lanois and Nellee Hooper, resounds with epic depth, while The Edge&apos;s trademark guitar sound rings throughout, cutting through the booming bass and honed rhythm section.